Mojang decided to "leak" a pre-lease of the 1.8 update two weeks ago in order to stress test the game and its bugs amongst the more die-hard members of the Minecraft community. It worked well for them. Most folks that downloaded the .jar file and actually took the time to install the update manually were willing to report bugs on a consistent and pleasant enough level to entice Notch (the game's creator), Jeb (one of the game's lead developers) and Mojang to do it again. Now, if you're going to download and install this file, make sure you are doing it from the Minecraft.net URL above. Do not try to get this anywhere else; go the official route, be safe and smart about it. Also, understand that this is a pre-release beta. There are going to be bugs and problems galore. Brace yourselves for impact if you think this is going to be a flawless Minecraft experience. But, hey, that's the fun part of being involved in a beta, ain't it? What's included in this pre-release? The snowmen and nerfed Endermen we talked about earlier this week, for starters. 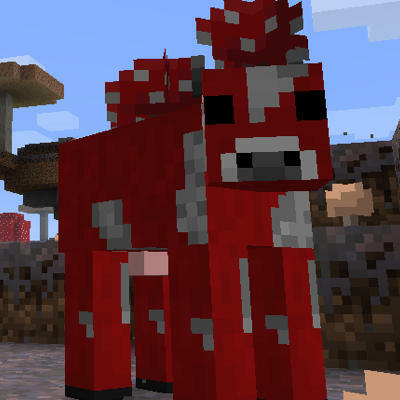 But the Mojang team has also supposedly added things like several new mobs, new Nether features, bosses in strongholds, new biome coding, a Mooshrum Cow (the wondrously goofy thing you see above) and much more. This release seems huge to us, and so much of it is spill-over from the massive Adventure Update we caught officially last week. So, we'll give a tip of the hat for Mojang's hard work here. Grab the pre-release if you figure yourself savvy enough to get it going (it's easy, really). Then, tell us what you think of Minecraft 1.9.